There is something about Natto that either turns you on or off. In our case, we are turned on and then some. Natto preparation is key to the taste and the active ingredients. You must whip it to get a froth or goo and glop. It is amongst the stickiest foods you can find that fits into your fridge. I prepare it with super foods to give it an added dimension. 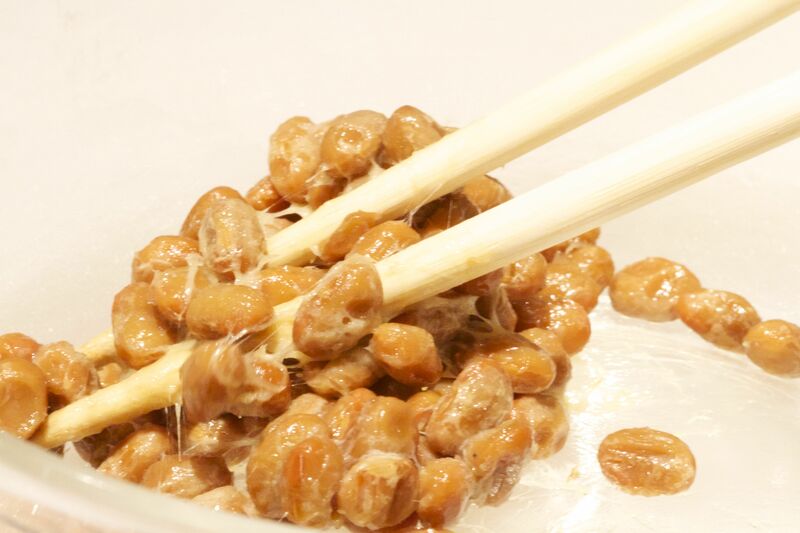 Natto was first documented well before the invention of Jesus Christ and certainly the fermenting of the natto beans was discovered by way of a natural process. There is the story about a battle campaign in northeastern Japan (1086 AD) when one day they were attacked while boiling soybeans for their horses. They hurriedly packed up the beans, and did not open the straw bags until a few days later, by which time the beans had fermented.